As we continue as a state to recover from the massive flooding, so many beautiful stories of neighbor helping neighbor and personal sacrifice have emerged. One particular story of heroism stands out. 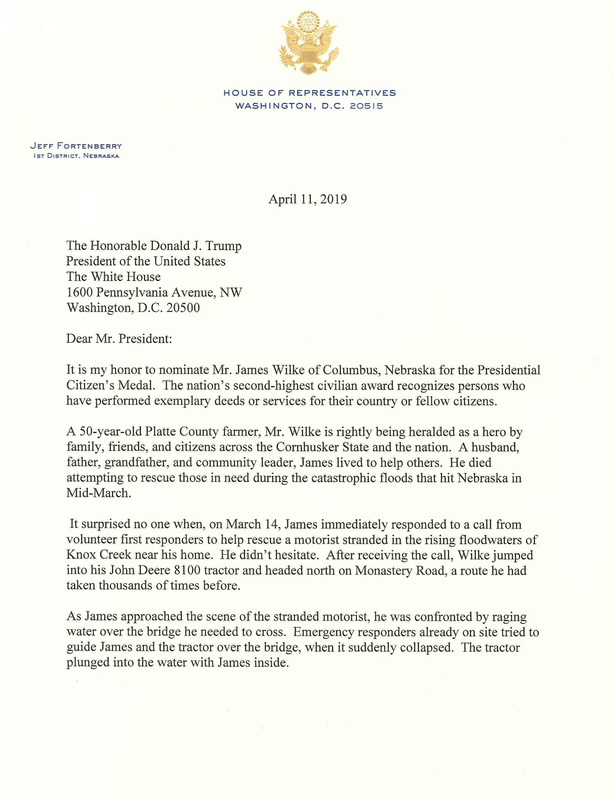 James Wilke was a farmer from near Columbus who gave his life during the rushing flood waters in order to help a person who was stranded. 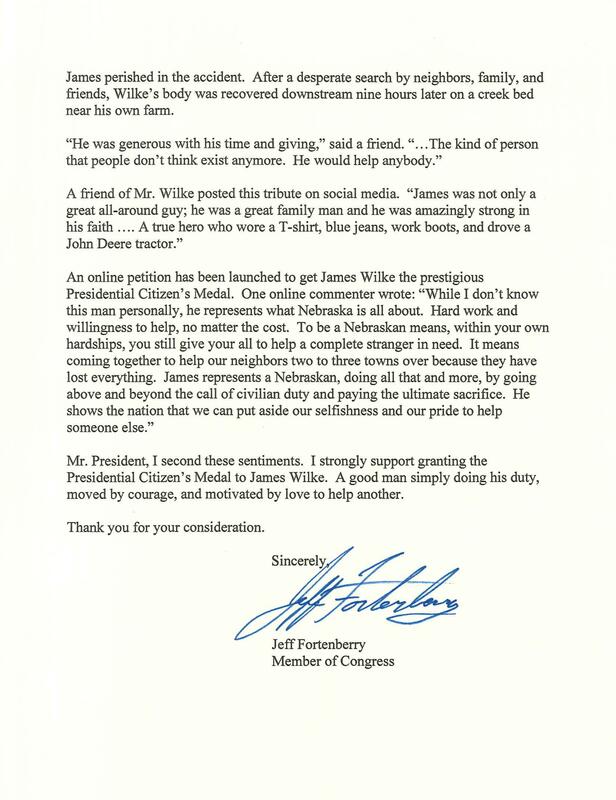 Yesterday, I sent a letter to President Trump asking that he kindly consider Mr. James Wilke for the Presidential Citizens Medal. In an extraordinary act of solidarity, thousands of Nebraskans signed an online petition asking for this consideration. If you would like to participate in the online petition, here is the link.